How much should users interact with backup solution? How much should end-users interact with their backup solution? When potential resellers look at starting a self-hosted Online Backup solution, one of the first things they must evaluate is: What is the best Online Backup Software to private label and deploy? Part of this answer depends on your philosophy with regard to how much customers interact with the client application and participate in managing their own backups. After 10 years of providing backup software to resellers globally, it’s clear our most successful channel partners counsel their clients to focus on running their business, and let the experts install/configure/monitor the backup solutions. After all, they are the ones who have recommended the service, and they are the ones that are being paid (hopefully) to run it! 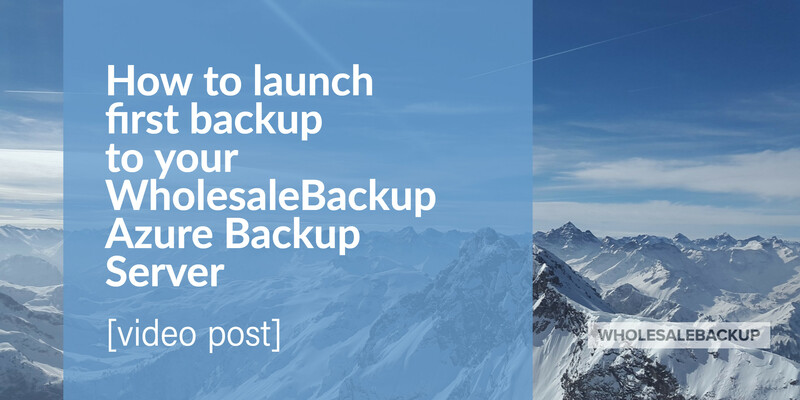 To that end, WholesaleBackup is designed to be extremely robust, powerful, and flexible so you can craft a custom backup solution for each customer, or replicate similar client installs easily. But it is not geared to the lowest common denominator so that a receptionist can walk through the GUI and intuitively manage the office backup. We shield some of the most powerful features away in expert mode (https://support.wholesalebackup.com/hc/en-us/articles/200460205-Launching-the-GUI-in-Expert-Mode), as this reduces the risk that customers will meddle with your set-up, but never forget this piece of software is designed for you, the IT professional, to utilize via the application GUI or silent command line interface. The software supports remote command and control via any remote support tool that can send remote Windows commands to a client machine. 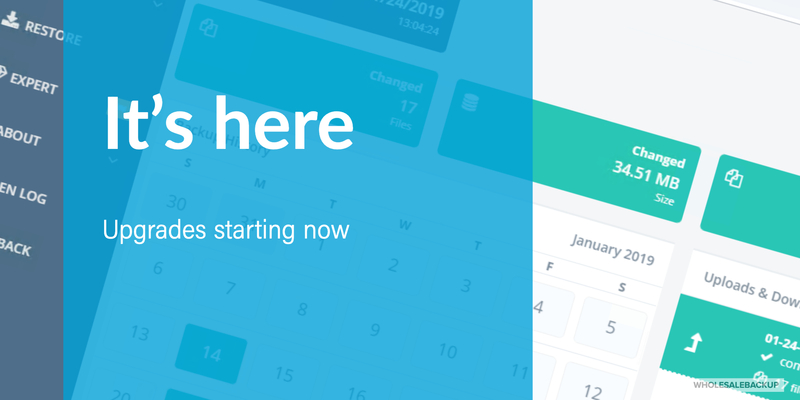 We have even implemented silent installs and the GUI is totally independent of the scheduling service and backup engine so features within the GUI can be hidden from end users or the entire GUI can even be deleted to provide a customer-proof backup solution. 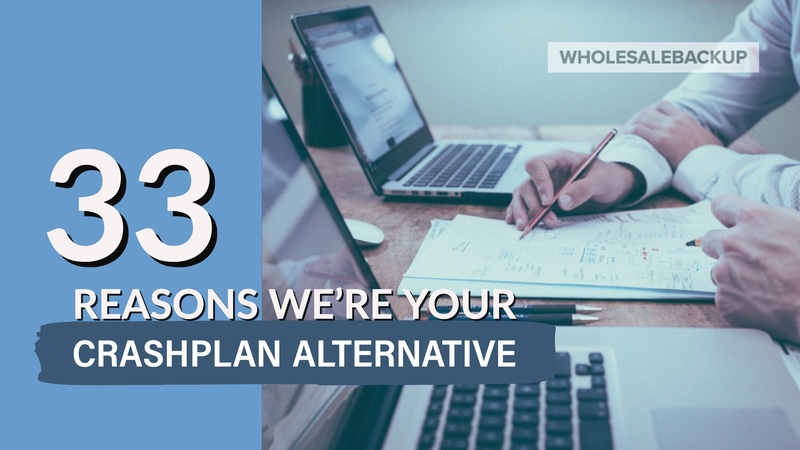 Some additional important details to keep in mind when comparing products is that the WholesaleBackup solution is extremely secure and many data optimizations have been made to keep the backups lean while utilizing the network connection as little as possible. We encrypt all data on the client side with military grade AES-256 encryption then transmit that data using industry standard (and PCI compliant) SSL encryption, where only the data which has changed between backups is transmitted. The data store on the remote server remains encrypted and the customer has the option to never share their encryption key with the backup provider (unlike many of our competitors, each customer’s data uses a unique encryption key). This allows for compliance with the most demanding security policies. This is critical as it isn’t enough to backup the data if the backup storage becomes a new security liability. There are products out there that happily duplicate data offsite without protecting the data from anyone who might access the remote repository. Additional backup optimization features include full file deduplication, compression, and rolling differentials. After the first full backup only the bits of files that change need to be synchronized with the backup vault to provide any versioning scheme across any retention period you need. And when you know what you need you can override any of these defaults in your custom white label so you never need to configure those settings again. Do you work with client environments that run very lean on resources? We can handle that as well. There are many performance tuning options to help accommodate most systems. 1. Customers provide guidance as to data that needs to be selected, but in most cases shouldn’t install/configure/schedule/monitor/manage the backups themselves. This product can be used by end-users easily, but is designed for the IT professionals. 2. Charge customers for your expertise to set up their backups, monitor them to make sure everything is working perfectly, and pro-actively troubleshoot any issues. This kind of personal service provides significant value, and allows clients to focus on their business not their backups. 3. Concentrate on the robustness of the backup software you choose to private label: encryption, accuracy of backups/restores, management dashboard, flexibility. In the long run, this will provide much more value than a pretty UI. Take 5-10 minutes and set up a free test server and white label client. Speak to someone in more detail about pricing and reseller model.